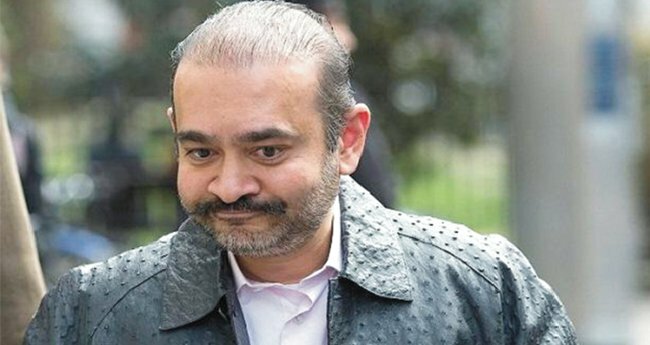 London: Nirav Modi, the main accused in the USD 2 billion PNB scam case, has been arrested in London where a court on Wednesday remanded the fugitive diamantaire in custody till March 29, saying there are "substantial grounds" to believe that he would fail to surrender if granted bail. "Nirav Deepak Modi, 48, was arrested on behalf of the Indian Authorities on Tuesday in Holborn," the Metropolitan Police said in a statement. His arrest came days after a London court issued an arrest warrant against him in response to a request by the Enforcement Directorate (ED) for his extradition in a money laundering case. Modi was produced before the Westminster Magistrates'' Court on Wednesday, where he contested his extradition to India. District Judge Marie Mallon, presiding over the hearing, said that she was not inclined to accept Modi''s bail plea due the "high value amount" attached to the allegations against him and that he would have "every incentive" to evade surrendering before the court. There are substantial grounds to believe that you would fail to surrender before the court if bail were to be granted," the judge noted. Modi, dressed in a plain white shirt and trousers, appeared in the dock where he spoke only to confirm his name and also to formally decline consent to be extradited to India. The Crown Prosecution Service (CPS), representing the Indian authorities in court, told the court that Modi was wanted in India for fraud and money laundering amounting to the tune of USD 2 billion. Under UK domestic law, the CPS said he is liable on charges of conspiracy to fraud, which has a maximum jail term of seven years, and conspiracy to conceal, which could result in anywhere between seven, 10 and life term in jail. "We do object to bail because there are substantial grounds to believe the requested person (Modi) would fail to surrender," said Barrister Jonathan Swain, appearing for the CPS and on behalf of the Indian government. Modi''s legal team was headed by Barrister George Hepburne-Scott and his solicitor, Anand Doobay, is the same legal expert hired by former Kingfisher Airlines boss Vijay Mallya in his extradition proceedings against India in the UK courts. Modi''s team made their case for bail, offering 500,000 pounds as security and an offer to adhere to “stringent” conditions. "He strongly contests all the allegations and is prepared with comprehensive arguments to support his case...his legal team has had months contact with the extradition squad and expressed his willingness to cooperate," Hepburne-Scott said. It emerged in court that Modi was arrested from a Metro Bank branch in London by uniformed officers Tuesday, when he went there to open a new bank account. A bank clerk alerted Scotland Yard as a result of the "high publicity" surrounding the case and Metropolitan Police officers arrived to execute the arrest. This over-rode a previous arrangement made between Scotland Yard''s extradition unit and Modi''s lawyers for him to surrender “by appointment” at a central London police station on Monday, something his legal team blamed on the “nature of publicity” surrounding the case. The location of the arrest indicates that Modi, wanted in India in connection with the Rs 13,500 crore Punjab National Bank scam case, was arrested from where he is believed to have been living in a plush apartment in Centre Point in the West End. It also emerged in court that Modi was in possession of at least three passports, all since revoked by India. The court was told that Modi arrived in London in January last year before any of the allegations emerged and has maintained a very "visible" presence in the country and offered to cooperate with the UK authorities since his arrival. He is currently employed by Diamond Holdings Ltd in London for a monthly salary of 20,000 pounds and pays his council tax regularly, his lawyers stressed in support of his defence. In New Delhi, ED sources said they expect a "faster" process of extradition in Modi''s case, as compared to Mallya, as this is a instance of "clear defraud" of bank loan money. They said the ED and the CBI have already sent in "good amount of evidence-based documents" for the courts in UK to peruse. Unlike Mallya, who was granted immediate bail on his arrest on an extradition warrant in April 2017 on fraud and money laundering charges, Modi''s case will now take a slightly different course as he remains in custody while court proceedings take place. UK Home Secretary Sajid Javid had certified India''s extradition request for Modi earlier this month, triggering the legal process in the courts, which led to the issuance of a warrant last week. News of the certification of India''s request came just as Modi was tracked down to a three-bedroom flat in the Centre Point tower block of luxury apartments in the West End of London. Modi and his uncle, Mehul Choksi, are the main accused in the PNB scam and they both left India before the details of the fraud came to light in January 2018. Modi is one of India''s richest men, worth an estimated USD 1.75 billion, according to Forbes. He launched his own eponymous brand in 2010 and he soon had stores across India, as well as in New York, London and Hong Kong. His diamond-encrusted designs were worn by Hollywood stars like Kate Winslet, Rosie Huntington-Whiteley and Naomi Watts, while the Bollywood star Priyanka Chopra-Jonas appeared in advertisements for the brand. His jewelry shops were raided and his assets frozen after the allegations emerged last year.